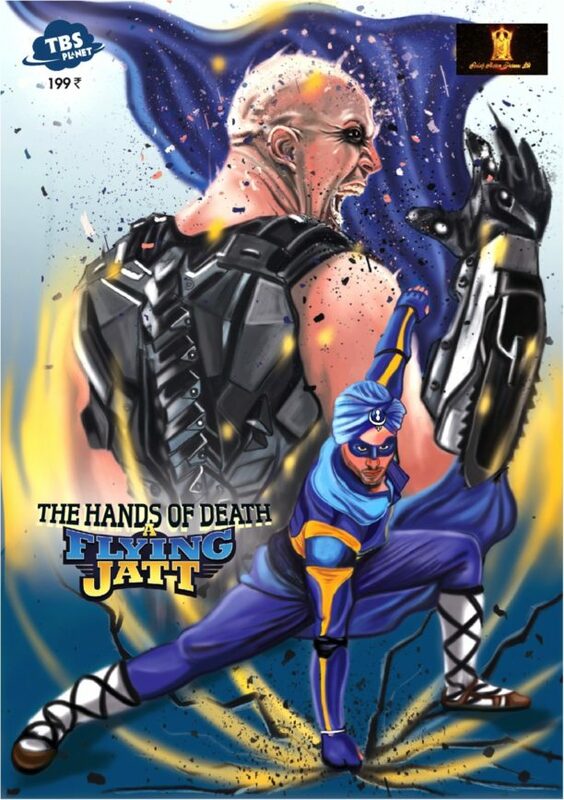 A Flying Jatt Comic Book, Game and Merchandise! India’s youngest Superhero film, A Flying Jatt launched the official merchandise, comic and game at KidZania India, Mumbai with Tiger Shroff and the film’s director Remo D’souza. 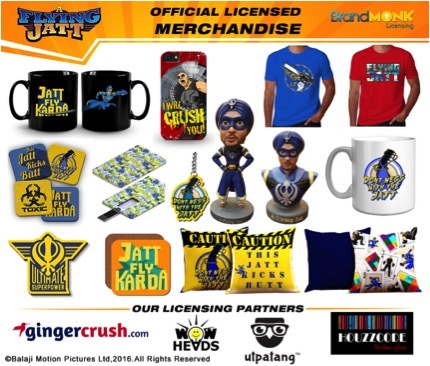 A Flying Jatt merchandise has been created by Brand Monk Licensing which is a 360 Licensing Company focused on Entertainment & Corporate Brands for Brand Extension& Merchandise. BML has used International Best Practices to create the Licensing programme with creation of complete Style Guide and processes. 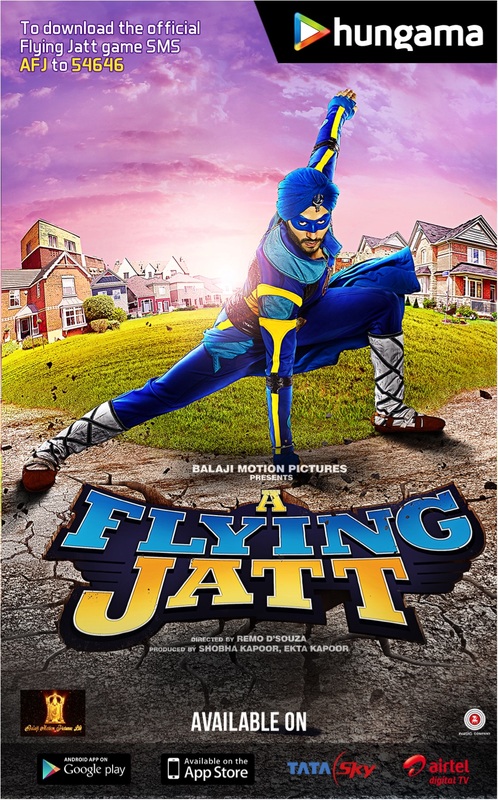 With the hugely anticipated release of A Flying Jatt produced by Balaji Motion Pictures, the products are now rolling in the market, with the licensed products being available online at leading marketplaces and select Key retail outlets. Our films young, affable superhero leaps into the comic world as the makers partner with Planet TBS to create “The Hands of Death’’ comic book featuring all keys characters of the film. Priced at 199 Rs. the book will be retailed through all leading e-commerce websites including Flipkart, Amazon and Snapdeal and will also be available on select bookstores and retail outlets. A superhero film is incomplete without extending itself to the gaming world and Hungama’s association with Balaji Motion Pictures has done just that! Hungama Digital Media Entertainment Pvt Ltd has developed the official game for AFJ. The game allows players to race against 4 others and the player in the last place gets eliminated automatically every 30 seconds. The last man standing wins and is the Champion. The key feature of the game is a one of its kind multi-player mode allowing gaming enthusiasts to challenge their friends and invite them to come and compete in the game. At the event, Tiger and Remo picked characters from the movie within the game and competed by racing against each other to the finish at the event Available on Android and iOS smartphones, A Flying Jatt – the game is an endless runner game with an aim to fly as far as possible, collect coins, and avoid obstacles. Also available on Tata Sky and Airtel Digital TV, it features the three lead characters of the film, Aman (Tiger Shroff), Kirti (Jacqueline Fernandez) and Raka (Nathan Jones) and players can play the game as their favorite character.